One of my favorite times of year is the end of summer/beginning of fall, for so many reasons. The air gets crisp and fresh, the world seems like it’s starting anew. It’s also the time of year where every fruit and vegetable seems to be in abundance. People are leaving excess squash and tomatoes from their gardens on their neighbor’s porches, the world seems to be overflowing with life. 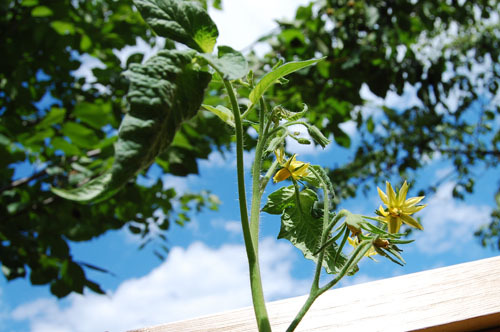 It is also the season of the green tomato. At the beginning of tomato season, every ripe tomato is cherished. They’re eaten whole, with nothing but a dash of salt. Then the time comes, around September, when you’re hauling in baskets and baskets of tomatoes each day, when you can’t keep up. That is the time of year when, growing up, my father would mandate a per-person number of tomatoes to be consumed. This is also the time of year when you don’t feel so guilty picking the tomatoes green. 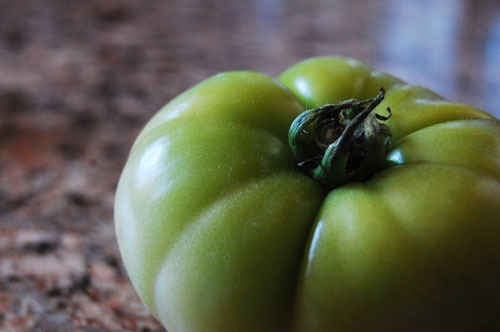 And it’s a beautiful time of year because (in my opinion) a green tomato is a beautiful thing. Cook your bacon. Set aside. Heat oil in frying pan. Slice your tomatoes. In one bowl mix flour, grits, cayenne, garlic, and salt. In another bowl whisk the egg until smooth. When your oil is hot, dip your sliced green tomatoes first in the flour, then in the eggs, and finally back in the flour. Fry for 3 minutes, then flip and fry an additional 3 minutes. Mix mayonnaise and chipotle powder. Smear over bread slices. 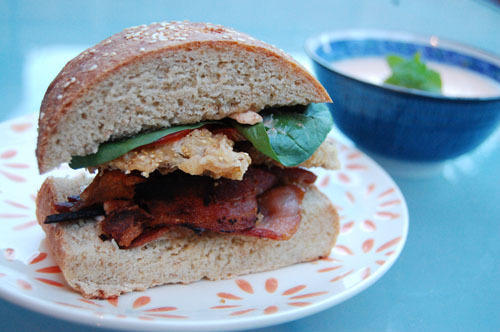 Layer bacon, fried green tomatoes, red tomatoes, and arugula. Enjoy! I have to say you have some amazing pictures and an amazing idea to update the historically southern favorite. I love it. Enter your email address to subscribe to B&S and receive recipes and posts straight to your inbox!